Attorneys John Charles Coleman and Robert J. Coleman have been serving their Southwest Florida clients with distinction for more than 35 years. 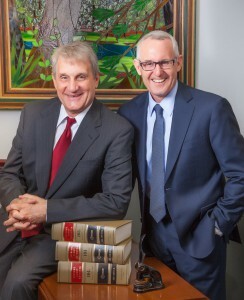 Coleman & Coleman was formed in 1980, when Robert joined his brother's existing private law practice begun three years earlier. 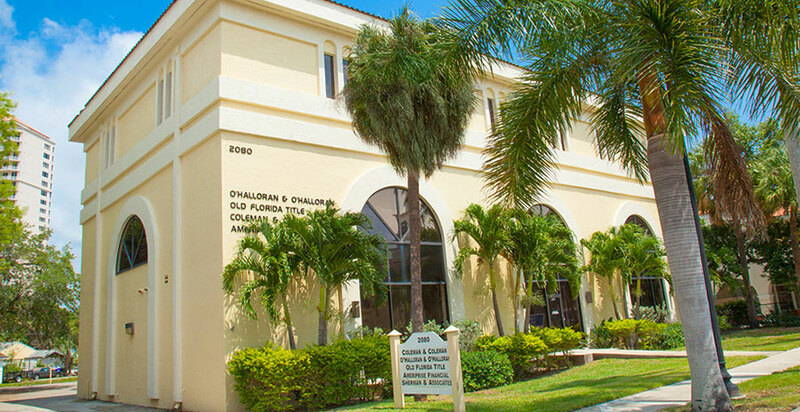 We practice law in Florida state and federal courts, serving clients in three primary areas of law—trial litigation, family law and wills and probate. Our professional reputation was first earned in the courtroom, where we successfully litigated civil, criminal, family law, probate, and administrative law disputes. Our practice soon expanded to help families address family law matters, such as prenuptial agreements, divorce and dissolution, and child parenting and custody matters, in addition to helping them with wills and probate administration services. Because we are a small firm, we have the opportunity to provide every client with individualized, personal attention and laser focused representation. At Coleman & Coleman, your work will be handled directly by our firm's senior partners, rather than relegated to others with less knowledge and experience. Clients appreciate our attentive style and easy accessibility as we work to resolve their legal differences and achieve results. We subscribe to the highest ethical standards of professional conduct. Coleman & Coleman leaves no stone unturned in serving your legal needs in a way that earns your highest trust and confidence.